The real estate services firm on Monday announced the sale of 175-195 Terminal Ave., a flex and research building just off the Garden State Parkway. 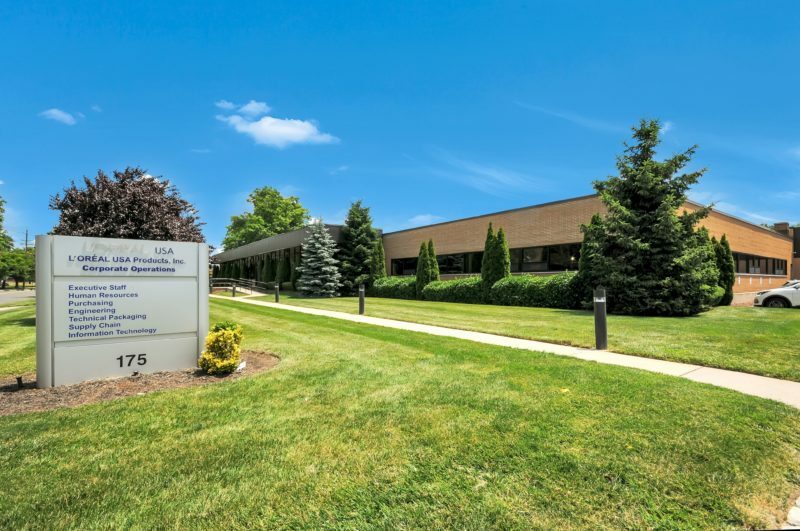 ANG Management purchased the single-story property, which the cosmetics giant has leased since 1992 and is its only R&D center in the U.S.
NKF Executive Managing Director Steven M. Schultz and Managing Director Tony D. Georgiev handled the $15.84 million transaction. The deal comes three years after Denholtz, under a joint venture with MB1 Capital Partners, acquired 175-195 Terminal Ave. as part of a 10-building, 283,201-square-foot portfolio known as the Clark Commercial Center. L’Oréal had an expiring lease prior to the acquisition, prompting the developer to make a series of major exterior and interior improvements. The result was a modern R&D space, Denholtz said, allowing it to negotiate a long-term lease extension with L’Oréal. “In an asset class dominated by long-term asset ownership like industrial, it might be hard to believe that value can be found in as short of a timeframe as three years,” said Steve Cassidy, president of Denholtz Associates. “Despite that notion, we were able to create value in a relatively short period of time at 175-195 Terminal Avenue through flawlessly executing an improvement strategy that enabled us to retain one of the nation’s premier tenants. The complex, one of six L’Oréal R&D centers in the world, sits between Central and Rahway avenues off Exit 135 of the Parkway. With the sale, Denholtz and NKF sought to tap into the overwhelming demand for flex and R&D space and a major undersupply in Union County, not to mention the appeal of a tenant such as L’Oréal. “We are extremely pleased with results of this sale and it was an honor working with the Denholtz team on this transaction,” Schultz said.